The following memoir was compiled from email correspondence between Jean Daly and Louise Genetti Roach (webmaster of this site) during 2014-2015. Please click on the individual photos to view in a larger format. My name is Regina (Jean) Branz Daly. My mother was Erminia (Erma) Genetti, daughter of Damiano and Oliva Genetti. I am 83 years old and I have one sister who is 91. We both remember our aunts and uncles very well along with some family stories. We learned more from the female side of our family because the men were more interested in business. My Uncle Leo was your grandfather. When I talk about my grandparents I shall refer to them as Damiano and Oliva and the rest as aunts, uncles and cousins, so hopefully we will be able to follow the stories a little easier. 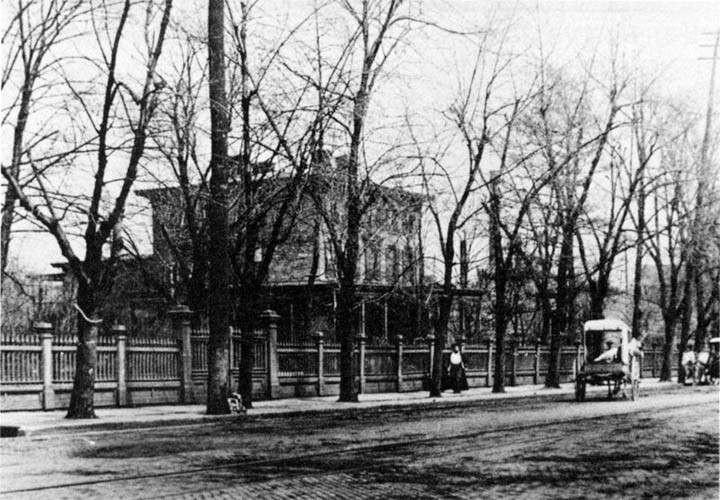 I attended St. Gabriel School and church in Hazleton, Pennsylvania. My mother, sister and I lived with my grandmother, Oliva, for a year or more during the 1930’s. Oliva was not well in the last years of her life and needed help. I remember Oliva’s kitchen and the pots on the stove with soups and other traditional dishes. My grandmother was a great cook! I also remember the large tiled bathroom she had upstairs in her home. 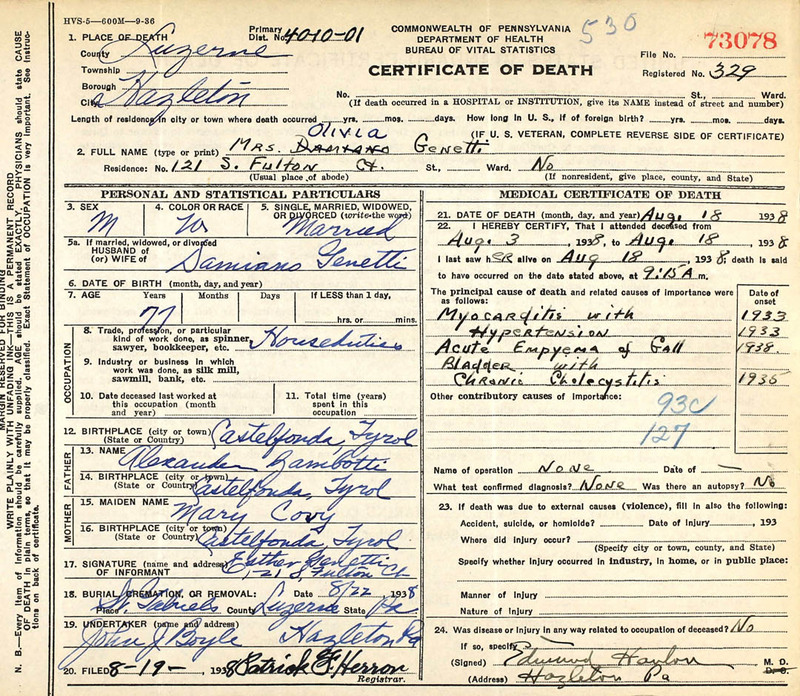 My grandfather, Damiano, was considered a doctor in Hazleton. He had an office in the house and treated many people. I remember the office and the shelf with various herbs he used in his treatments. Unfortunately, I do not remember Damiano. My Mother said that he saw me at my birth and then left for Castelfondo soon afterward. I think that was the last time he was home in Hazleton. Oliva was adored by her children. According to my sister, her every wish was looked after. So she was well taken care of by all. I do remember as she lay dying in a big, beautiful bed, Oliva had two specialists that arrived from either NYC or Philadelphia to consult on her condition. I believe it was a gallbladder condition, but this may not be accurate – it is what my sister and I recall. I remember her as being a sweet pleasant person who always treated us nicely. There were two sun rooms in the front of her house. My sister remembers two but I only remember one that was always filled with flowers in wicker baskets. She loved flowers. The other sun room had a piano. I’m sorry that most of her older grandchildren have died now. I’m sure they would have remembered more stories because they knew her for a longer time than I did. As I said, I do not recall Damiano at all but the stories I’ve heard from my mother and others, he was a very strict and demanding father, not a warm fuzzy person. But I don’t recall anyone ever saying anything bad about him. I talk to my sister every day and since I’ve been in contact with you we have remembered many stories. I found the book that Damiano used in his treatments. My mother, Erma, gave it to me many years ago. The book is titled “My Water Cure” by Sebastian Kneipp. He is described as a secret chamberlain to the Pope and was the parish priest of Bavaria. The book mentions chamomile tea, as well as elderberry wine and tea. I remember both of those being used by my mother for various conditions. Another thing we were given was cow bones that were dried and crushed. We took that every day and didn’t know then that we were actually being given the calcium that we needed. Another person that I need to mention is Orselina Genetti. She was my mother’s cousin. I remember Orselina because she traveled to Niagara Falls with my family when we went to visit relatives of my father. I have a picture of her from that trip. My sister told me Orselina was a cook for a prominent family in Hazleton. She never married and was very close to Oliva who kept a room for her when Orselina had days off and for the holidays. 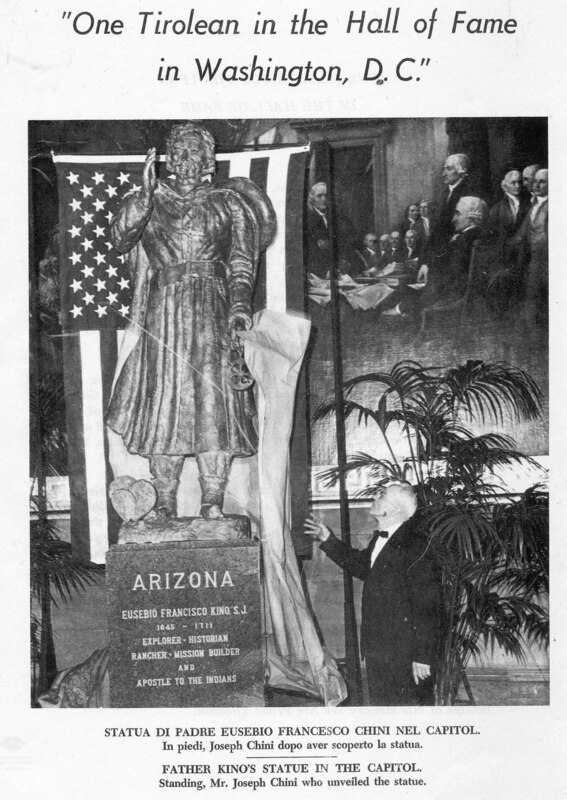 Looking through my documents, I found something else of interest about a Tyrolean priest who was in the Hall of Fame in Washington DC. His name was Father Francesco Kino. There was a club in Hazleton called the Tirolesi Alpini. They wrote about him in one of their club pamphlets. The Tirolesi Alpine of Hazleton is no longer around. It was formally started in 1968 and I have no idea when it ended. I attended a few of their dinners and my sister attended every year. Bill Genetti (of Hazleton, PA) might know more about the club since I think he was involved with the group. The other pamphlet I found is a family story that Uncle Stanley wrote with Dr. Harold Aurand of Penn State University sometime around 1981. It is an interesting manuscript because it tells the history of the Tyroleans and includes his own personal recollection of his youth in Castelfondo, Austria and Hazleton, Pennsylvania. In essence, it’s mostly Stanley’s life, but it does include stories I had not heard before, such as about Damiano’s gunshot wound when he was a young man, his arrest by the Austrian Army after he returned to Castelfondo with Oliva and their first child, and the fact that he studied veterinary medicine. Unfortunately, as usually happens, there is barely a mention in Stanley’s book about the girls in the family (Damiano’s daughters). I believe they were very helpful when Damiano arrived in this country and started his business. With the exception of Ann, none of the girls had graduated from high school. 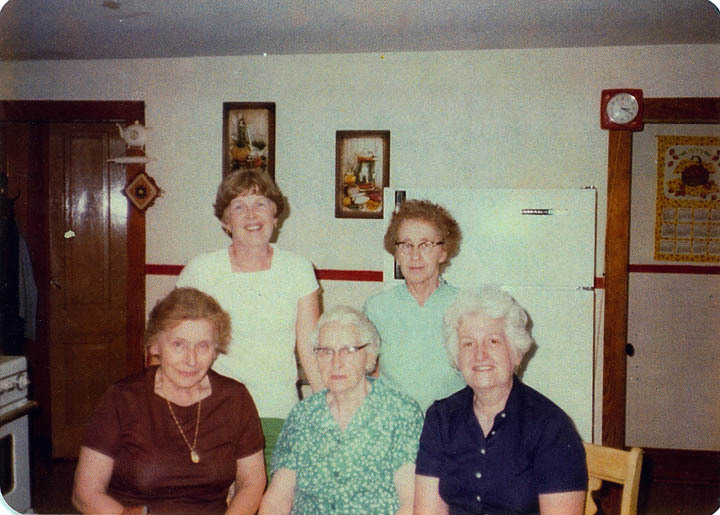 The five daughters of Damiano and Oliva Genetti. 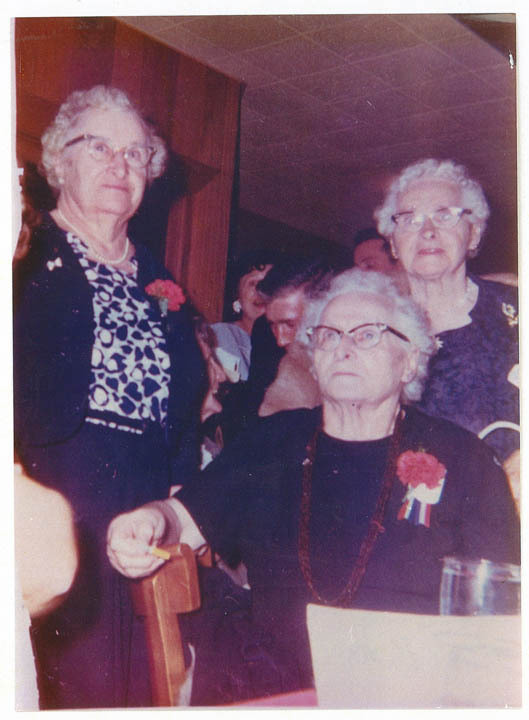 Ottilia (Tillie), Esther, Angela (Ann), Addolorata (Dora), Erminia (Erma). I have Sjogren’s disease along with my sister and my daughter. We have been affected differently, but I with the arthritis have been hobbled a bit and need help to get around. So it takes time to accomplish things that used to be easy. I don’t know if any other Genetti females have suffered this condition. It occurs mostly in females. Another condition my mother Erma had along with her sisters Dora and Tillie was eczema. 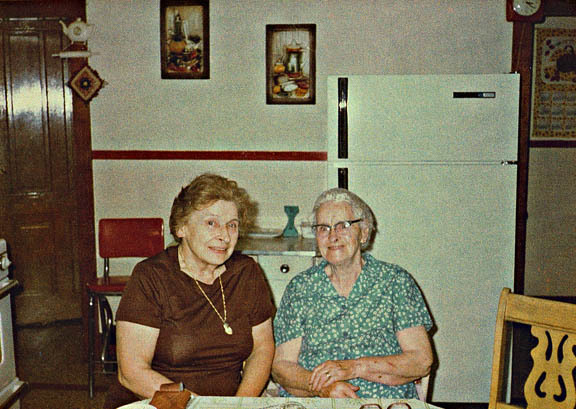 I am not sure if the other two sisters, Esther and Ann, suffered from it. The only other cousin I knew with the condition of eczema was Emma, a daughter of Dora. Because of my inability to move around easily I have not attended the last two or three family reunions. 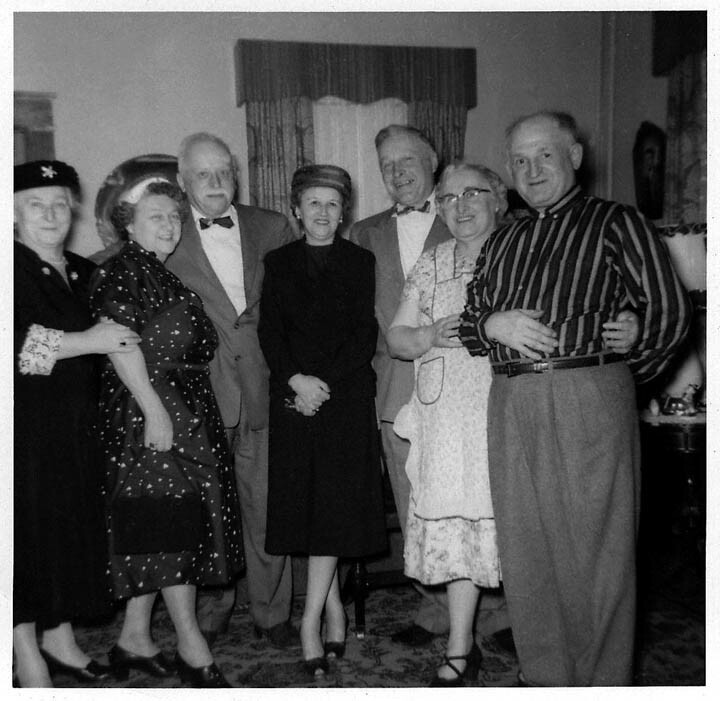 I had attended every one before that and a group picture was taken at each reunion. Jeanne and Catherine Joliat at Ellis Island. 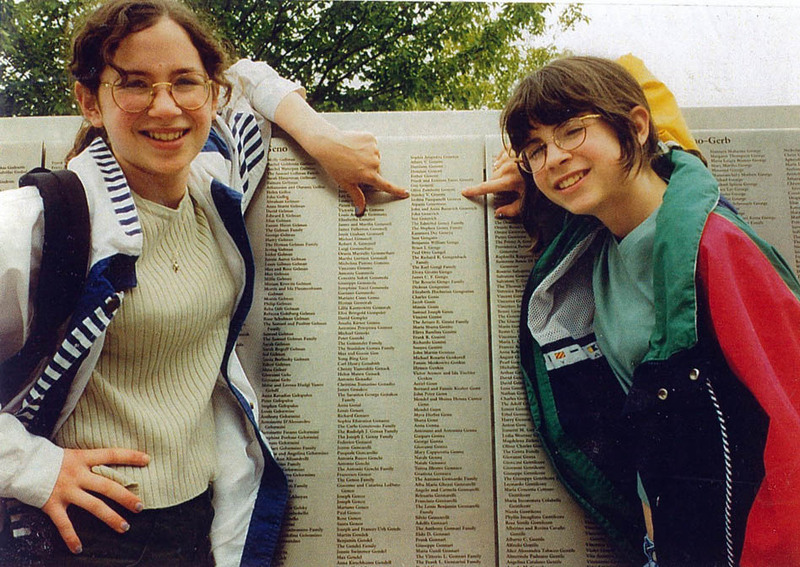 The great-grandchildren of Erma Genetti Branz, the girls are pointing at Erma’s name on the Ellis Island Memorial Wall. Now about Ellis Island. In 1982 Lee Iacocca was asked to raise funds for restoration work at the Island. One way he did this was to contact the children and grandchildren of those who came through Ellis Island and ask them to make a donation to have their relative’s name put on a stone wall. I think all of Damiano and Oliva’s grandchildren were asked if they would like to donate and I believe that all of them did. I have a picture of two of my mother’s great-grandchildren pointing at her name on the wall. 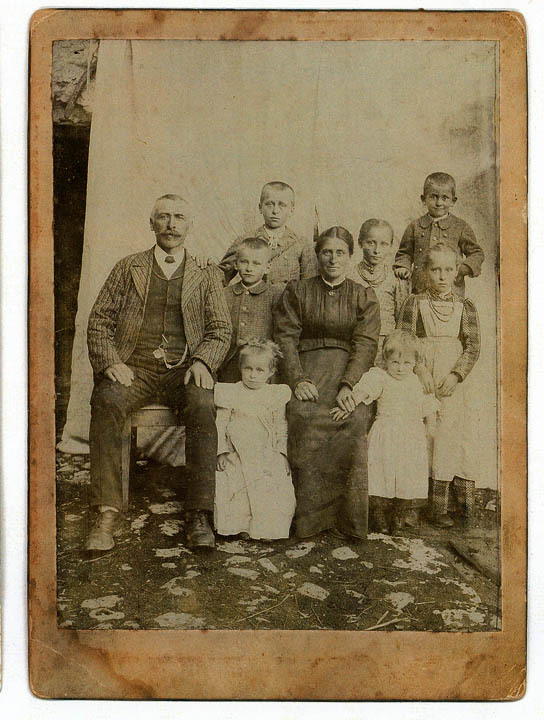 Of course your grandfather, Leone, would not be on the wall at Ellis Island, since he was the only one born in America. Aunt Ann (Damiano and Oliva’s youngest child) gave my daughter, Barbara, a quilt of Oliva’s that was used when new babies were born. Barbara remembers Ann telling her it was first used with her oldest brother Leone and we can only assume that Oliva used it for each of her other eight children. At that time, children were born at home like my sister and me. The mothers were in bed for about ten days to two weeks. So family and friends would come to visit and see the baby. The mother would show her new baby wrapping in a special quilt. I have the one my mother used at my birth. I haven’t seen Oliva’s quilt in ages, so I’m anxious to see it again. 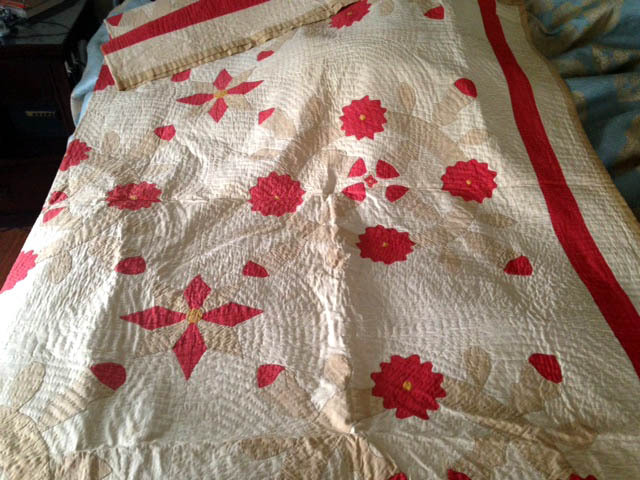 Oliva’s quilt, now owned by Jean’s daughter, Barbara. The quilt may be close to 130 years old! And of course I remember Dr. Stish from Hazleton. He was not our doctor because we lived in Freeland. But I remember the stories about him. I think everyone in the Genetti clan were his patients. I, along with my husband and daughter, visited Castelfondo, Italy in 1975. It was still rather primitive at that time. We saw women washing clothes in a fountain and no one who spoke English. We also drove through Bolzano and Fondo on our trip. It was beautiful country! I bought a copper polenta pot at a roadside stand when I was in the Castelfondo. My husband was not happy to lug it through customs! It now sits on the hearth in my home, filled with old greeting cards. I was wondering if you were interested in getting Tyrolean sausage. As far as I know the only place where it is still made is Tarone’s Market in Hazleton. They send it to many places in this country I order sausage a lot because anyone who tastes it, loves it and then they want more and more! There is another story behind the making of Tyrolean sausage by Tarone’s. I had two cousins who made the sausage. 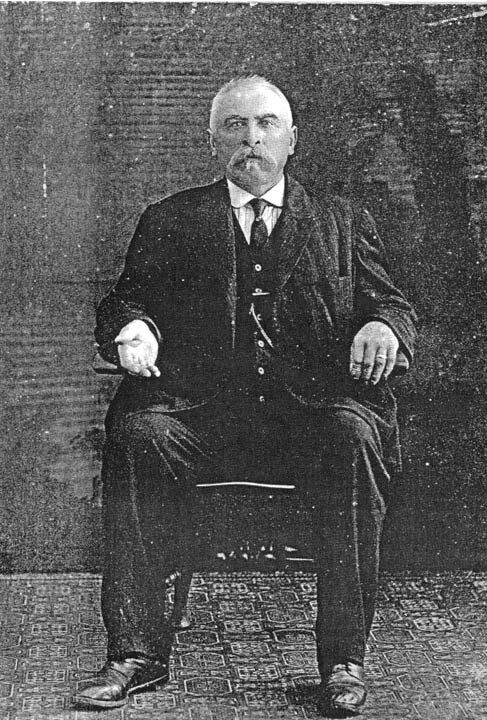 One was Henry Bott, Dora and Verecondo’s son. The other was Louie Pillonato. 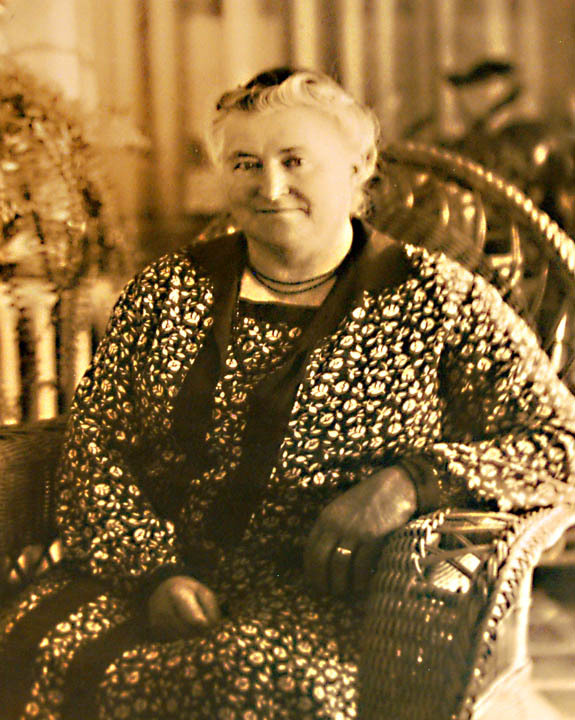 Louie was Anna Bott’s husband (Anna was Henry’s sister). Both made it very well, but not exactly the same. My sister claims there is a secret ingredient in the sausage that is not even known by the Tarone family. I think that Bill Genetti might be the only one left who has the original recipe. I hope it will be passed down in the family. One of the things I mentioned to you some time ago was about the earrings owned by all of the Genetti woman. 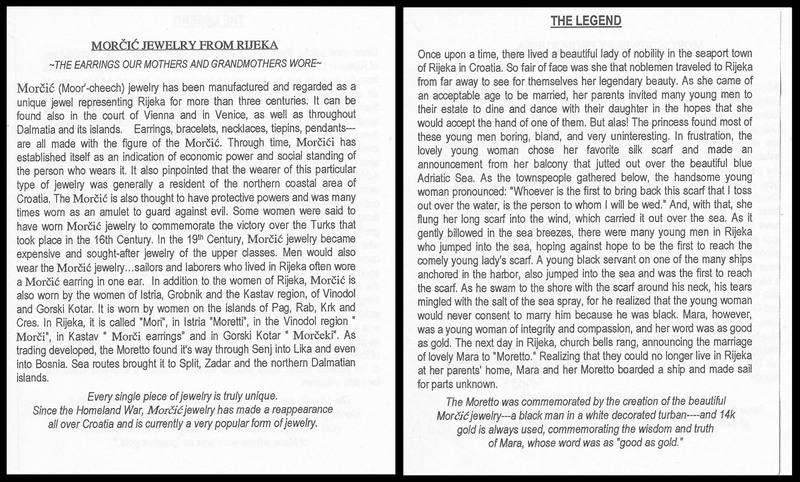 The earrings had a black Moors face on them. I have enclosed the history of the earrings. What connection they had with the Tyroleans, I have no idea. I have a pair and so does my sister. Looking at the photos you sent me, I will now say they were taken at my parent’s house. I have no idea why they met that day I gather that my Mother did some cooking since she was the only one with an apron on. I was surprised that Aunt Tillie wasn’t there. My sister told me that they got together often and played pinochle. Did I mention the game the men played, especially in the summer? I don’t know what it was called but they would throw fingers out and scream a number two or three times that they were trying for. It was interesting to watch and listen to. 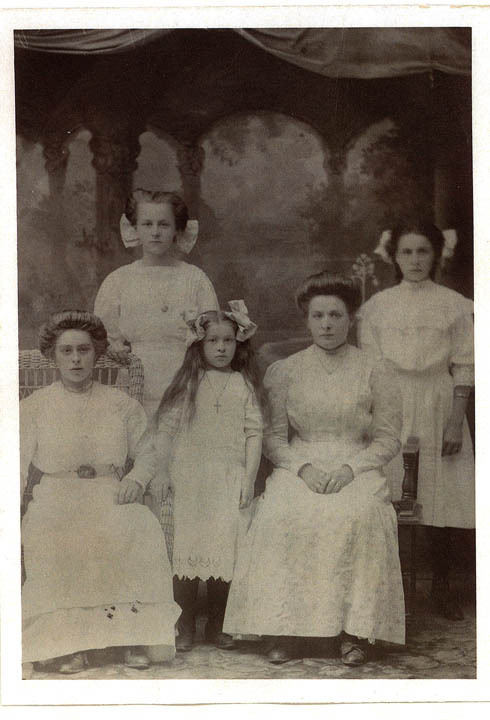 I don’t recall if I mentioned that Dora was quite a seamstress and made the dresses she and her sisters wore in this picture. 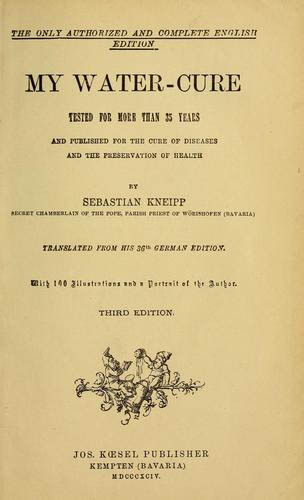 Read the original “My Water Cure” by Sebastian Kneipp available free online, click here! Excerpts of Stanley Genetti’s memoir have been included on the Family Stories page of this website.